Las Lenas is the best ski resort in the southern hemisphere, much better than any resort in Chile. Argentina has the best skiing in South America, perhaps even in the world. People come to Las Lenas from all over the world to ski when it's summer in the northern hemisphere. 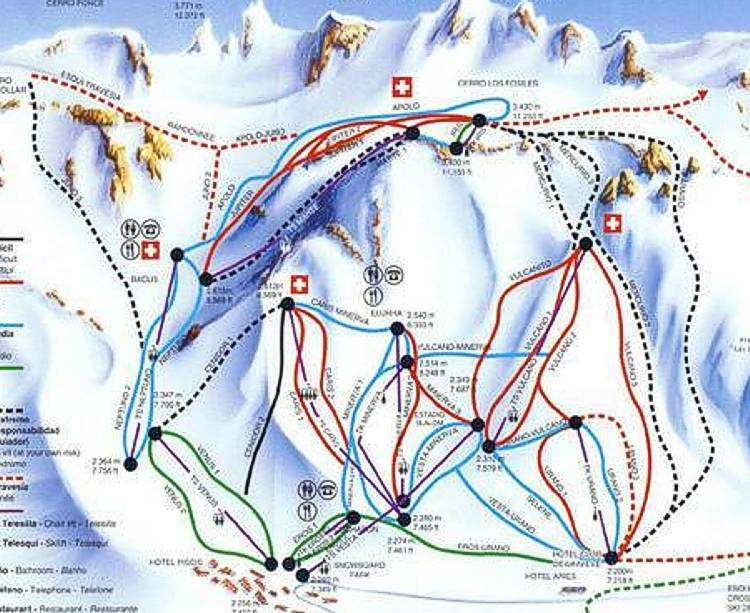 Las Lenas is the best ski resort on the planet during the southern hemisphere winter. Don't go to Chile, go to Argentina! Says Manuel. the Argentina highlands and the nice sensation of zipping down the slopes are nice attractions for lots of folks. Please refer to the trailmap of Las Lenas on this page for information. Getting a glorious workout and a chance to spend some time in the great outdoors attract ski people from all over. The Argentina mountains during ski season are a wonderful place for snowboarding or skiing.